-That there are certain people who will never empathize nor care to attempt to and it’s on you, not them, to rise above the mediocrity of finger-pointing, blaming, excuse and gossip. -Laughter and journaling are therapeutic, make time for them. -This is the most emotional roller-coaster you will ever know. -There is nothing wrong with you just because you don’t have children of your own; don’t buy into society’s lie that there is. -You are worthy of pouring into yourself. If you want to travel, travel. If you want to buy a fancy car, do. Spend a little extra on your hair and clothes without going broke. Whatever pouring into yourself looks like to you, then do it because you are so worth it. -You are valuable. Your value is not based on whether or not you produce children. -Be very careful who you friend on Facebook, especially if they have children. Simply because certain people over-share. Facebook is full of triggers. Don’t let FB control you; you control FB. -Research thoroughly and find the best obgyn you can find and afford in order to know in your heart that all possible avenues have been looked into. The wonderful love of a dog. He will never replace a child but has given my hubby and I such unconditional love and fun and comfort. Fur babies are a gift from God. 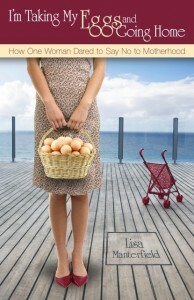 Ours helped me so much through our infertility struggle and now, as we walk a childless life. I know and I turn to God for comfort and healing. I laugh with mouth wide open ! I wish I had known menopause could happen at 35. I wish I had had intelligent compassionate doctors who knew menopause could start before age 45. I wish any of my doctors had listened to what I was telling them. Rose; you are not alone in this..
Compassion and listen seem to be the key words. Praying for all of us !! I wish I’d known that there are no guarantees, that NO ONE could truly tell me I’d meet with success for certain. I wish I’d known that living childfree wasn’t a worst-case scenario, that it could be freeing. I wish I’d known that one of the worst things about infertility was living in limbo, and that in the end, it would be up to us to say ENOUGH, that we couldn’t rely on anyone else to tell us maybe it wasn’t going to happen. I wish I’d known there’s no shame in saying “enough” and refusing to follow the “never never give up” advice and tropes out there until you suffer some kind of breakdown. That just knowing you have reached your tipping point is ENOUGH. I wish there was more honesty in infertility clinics’ dealings with tough cases. Great question… no regrets, but definitely feel that information on different resolution options and fighting societal norms of “failure” or “giving up” is worth it are missing from infertility education when you start out. Thank you Jess – absolutely agree with everything here. Its like you have just summed up everything I have been thinking for several years. 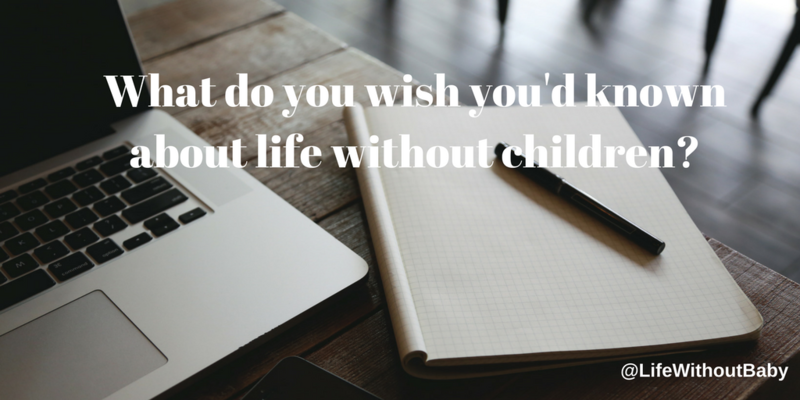 I wish I had known that I did not need to explain my childlessness to anyone. 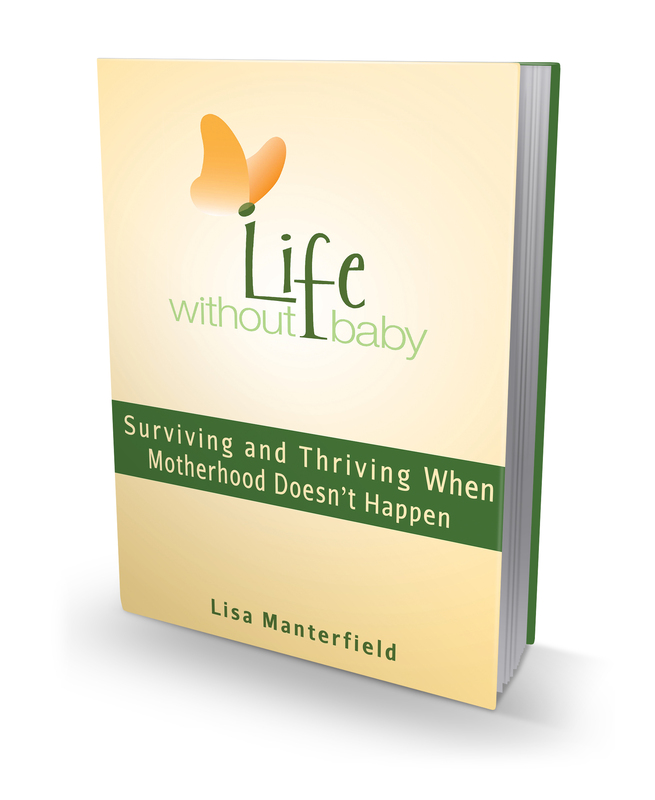 I wish I’d lived by life by the word “if” and not “when” and hadn’t bought into the whole miracle baby myth – if you really want something then you can have it! Wow, what a timely topic for me. Rose, I am with you . I have been in the midst of menopause,and I made the decision to have a total hysterectomy, which was the right call for me. But a med student came in and told me I also had been suffering from endo mitriosis ! 53 years old and this is the first time I am hearing this. I was so sad and mad! 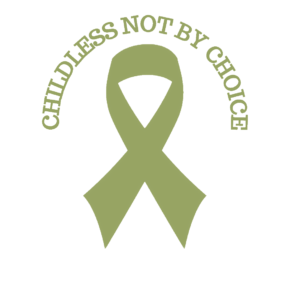 I had been with an OB GYn who for 13 years treated me for something I did not have and did not treat the issue at hand. I see a new GYN for a lot of reason, but one because this blog encouraged going to GYN to not have to deal with all the pregnant women and one culture and she knows my problem. Also I loved the knowing how common fertility issues are, and continuing to realize how valuable I am even if I cannot bring a child into this world. Thanks so much for your comments and support, it has helped me heal like nothing else. I wish I had known and accepted sooner that my in-laws and siblings would be completely incapable of showing the compassion and understanding that I crave and deserve. So hurtful and disappointing. And it will never, ever change. I’m so sorry, ElleVee. That is quite hurtful and very disappointing. I’m grateful that you found this community to give you the compassion and understanding that you most definitely deserve. Same here Elle. And my husband most of the time. Thanks for the support, Brandi and Mary! Thanks ElleVee – thought I was alone in concluding that family and most friends have been disappointing in their understanding. Like you too – i have stopped expecting them to change – its not going to happen. Some days I can still feel the disappointment though. I feel you ElleVee. The realization that the people closest to you have no interest in understanding your pain is another jolt to the system. It truly shines a light on the few people who do care and they are to be squeezed and loved with extra might! I wish I’d known that it was possible to be happy again and that it was possible to live an enjoyable life without children. Although, honestly, if someone would have told me that I probably would not have believed them. But now I know it’s true.